An old castle town largely unspoiled during World War II, Kanazawa features well-preserved architecture spread across a range of districts. Nomura Samurai House and Ainokura Gassho Community are good opportunities to explore the local culture. Discover out-of-the-way places like Chirihama Nagisa Driveway and Gokayama. There's still lots to do: contemplate in the serene atmosphere at Ninja Temple, contemplate the long history of Oyama Shrine, wander the streets of Nagamachi District, and admire the landmark architecture of Kanazawa Station. For maps, more things to do, traveler tips, and more tourist information, you can read our Kanazawa trip itinerary builder. Vancouver, Canada to Kanazawa is an approximately 20-hour combination of car and flight. Traveling from Vancouver to Kanazawa, you'll lose 17 hours due to the time zone difference. Traveling from Vancouver in September, things will get somewhat warmer in Kanazawa: highs are around 31°C and lows about 21°C. Wrap up your sightseeing on the 25th (Mon) to allow time to drive to Takayama. 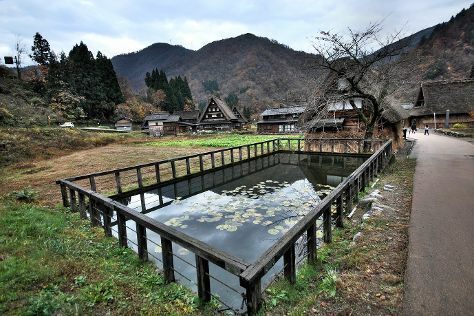 Hidden high up in the Japanese Alps, Takayama remained largely cut off from the rest of Japan for centuries, allowing the local culture to grow in relative isolation. Kick off your visit on the 26th (Tue): hunt for treasures at Hida-Takayama Miyagawa Morning Market, see the interesting displays at Takayama Festival Floats Exhibition Hall, then get to know the fascinating history of Higashiyama Walking Course, then ponder the world of politics at Takayama Jinya, and finally stop by Hida Bussankan. To find other places to visit, photos, and other tourist information, refer to the Takayama trip itinerary builder. You can drive from Kanazawa to Takayama in 1.5 hours. Alternatively, you can take a train. Expect a daytime high around 28°C in September, and nighttime lows around 22°C. Finish up your sightseeing early on the 27th (Wed) so you can travel to Hakodate. A gateway to the island, Hakodate has gained a reputation for its waterfront attractions, its proximity to some of the island's most popular natural sites, and its seafood. On the 27th (Wed), witness a stunning natural landmark at Yachigashira Onsen. 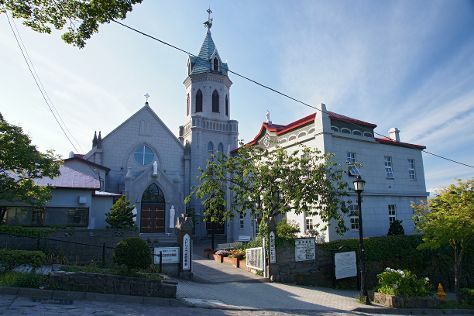 Keep things going the next day: contemplate in the serene atmosphere at Hakodate Orthodox Church, don't miss a visit to Hachimanzaka, then get to know the fascinating history of Motomachi, then contemplate the long history of 函館 観光スポット 旧函館区公会堂 Old Public Hall of Hakodate Ward, and finally stop by Kanemori Red Brick Warehouse. To see maps, photos, reviews, and tourist information, use the Hakodate trip itinerary maker. Do a combination of train, flight, and taxi from Takayama to Hakodate in 6.5 hours. Alternatively, you can take a train. Traveling from Takayama in September, you can expect nighttime temperatures to be slightly colder in Hakodate, with lows of 19°C. Wrap up your sightseeing by early afternoon on the 29th (Fri) to allow enough time to travel to Taketomi-jima Taketomi-cho. A tiny island in the Yae-yama archipelago, Taketomi-jima enjoys popularity as a beach getaway, best known for its stretches of "star sand"--sand made up of tiny star-shaped exoskeletons of ancient fossils. Kick off your visit on the 30th (Sat): enjoy the sand and surf at Kaiji Beach, then take in the waterfront at Nishi Pier, then kick back and relax at Kondoi Beach, and finally take an in-depth tour of Taketomi Folk Art Museum. On the 1st (Sun), you'll have a packed day of sightseeing: tour the pleasant surroundings at Kubazaki Beach, take some stellar pictures from Nagomi Tower, and then get to know the fascinating history of Island Countryside Settlement. For traveler tips, reviews, ratings, and other tourist information, go to the Taketomi-jima Taketomi-cho trip itinerary maker. Do a combination of taxi, flight, and ferry from Hakodate to Taketomi-jima Taketomi-cho in 6 hours. Prepare for somewhat warmer weather when traveling from Hakodate in September: high temperatures in Taketomi-jima Taketomi-cho hover around 36°C and lows are around 30°C. Cap off your sightseeing on the 2nd (Mon) early enough to catch the ferry to Ishigaki. Ishigaki, the most populous island in the chain, features the country's southernmost city and acts as a transport hub for exploring the landmasses that surround. Your cultural itinerary includes sights like Tamatorizaki Observatory and Cape Hirakubozaki. You'll discover tucked-away gems like Yonehara Beach and Euglena Mall. And it doesn't end there: discover the deep blue sea with a scuba or snorkeling tour, tour the pleasant surroundings at Kabira Park, paddle through the water with a kayaking and canoeing tour, and look for gifts at Yurateiku Market. To find reviews, where to stay, ratings, and tourist information, go to the Ishigaki itinerary planner. Ishigaki is just a stone's throw from Taketomi-jima Taketomi-cho. In October, daily temperatures in Ishigaki can reach 33°C, while at night they dip to 27°C. Finish up your sightseeing early on the 5th (Thu) so you can travel to Miyakojima. A city jurisdiction formed after the merger of several towns in 2005, Miyakojima spans six linked-up islands. You'll enjoy a bit of beach vacationing at Sunayama Beach and Toguchinohama. You'll explore the less-touristy side of things at Aragusuku Beach and East Henna Cape. There's lots more to do: snap pictures at Irabu Bridge, visit a coastal fixture at Higashi Hennazaki Lighthouse, make a trip to Ikema Ohashi Bridge, and tour the pleasant surroundings at Hora Gyoko no Hama Beach. 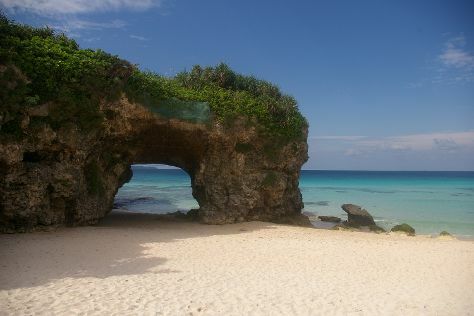 For where to stay, traveler tips, photos, and more tourist information, read Miyakojima tour planner. Do a combination of taxi and flight from Ishigaki to Miyakojima in an hour. 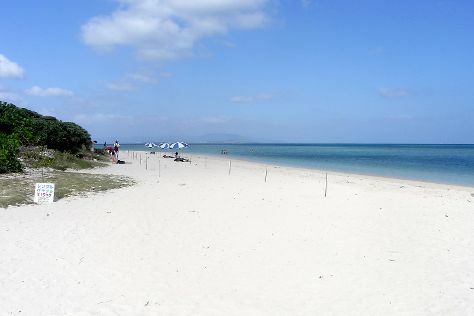 In October, daytime highs in Miyakojima are 32°C, while nighttime lows are 27°C. Finish your sightseeing early on the 8th (Sun) to allow enough time to travel to Naha. Naha, the capital of Okinawa, has deep roots: Stone Age relics have been found in the city, and through the Middle Ages it rose in importance in the Ryukyu Kingdom. 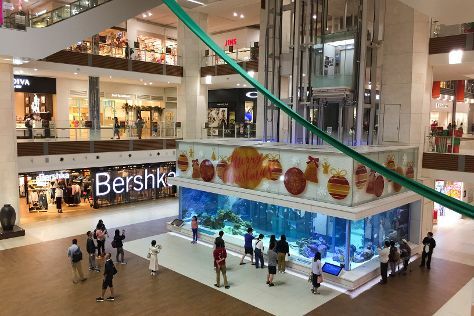 On the 9th (Mon), buy something for everyone on your list at OKINAWA OUTLET MALL ASHIBINAA, then appreciate the extensive heritage of Okinawa Peace Memorial Park, and then indulge your taste buds at Nakayukui Market Onna Station. 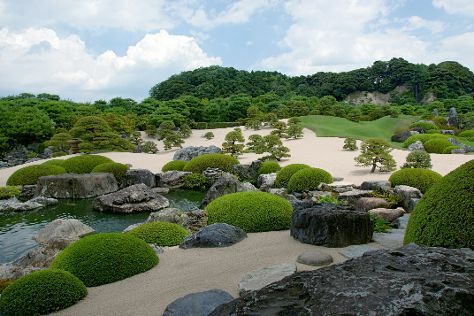 On the 10th (Tue), you'll have a packed day of sightseeing: explore the world behind art at Okinawa Prefectural Museum & Art Museum, then buy something for everyone on your list at AEONMALL OKINAWA RYCOM, and then admire the natural beauty at Fukushu-en Garden. For more things to do, where to stay, photos, and tourist information, refer to the Naha tour planner. You can do a combination of taxi and flight from Miyakojima to Naha in 1.5 hours. In October, daily temperatures in Naha can reach 32°C, while at night they dip to 27°C. Wrap up your sightseeing on the 11th (Wed) early enough to travel to Kumage-gun Yakushima-cho. A popular destination for Japanese tourists, Kumage-gun Yakushima-cho is a true paradise for nature lovers, with over 1,900 species and subspecies of plants. On the 11th (Wed), take in the dramatic scenery at Janokuchinotaki Falls and then don't miss a visit to Taikoiwa. 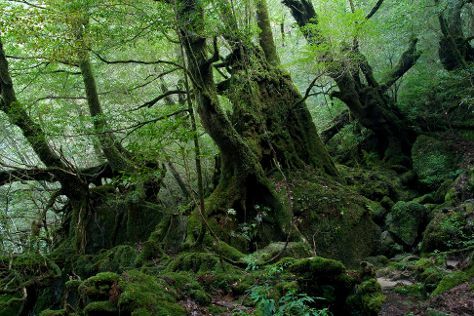 On the next day, make a trip to Jōmon Sugi, then take a stroll through Wilson Stump, and then explore the activities along Shiratani Unsuikyo Valley. For reviews, photos, ratings, and more tourist information, read Kumage-gun Yakushima-cho travel itinerary planner. Do a combination of taxi, flight, car, and ferry from Naha to Kumage-gun Yakushima-cho in 7 hours. Alternatively, you can do a combination of ferry and taxi. In October, Kumage-gun Yakushima-cho is little chillier than Naha - with highs of 26°C and lows of 22°C. On the 13th (Fri), you're off toHiroshima. Grapple with history and appreciate modernity in Hiroshima, a city known around the world for its tragic past and inspiring rebirth. Do some cultural sightseeing at Hiroshima National Peace Memorial Hall for the Atomic Bomb Victims and Hiroshima Peace Memorial Museum. You'll discover tucked-away gems like Yamato Museum and JMSDF Kure Museum. Step out of Hiroshima to go to Iwakuni and see Kintai Bridge, which is approximately 48 minutes away. The adventure continues: explore and take pictures at Mazda Zoom-Zoom Stadium Hiroshima, appreciate the history behind The Cenotaph, take in nature's colorful creations at Shukkei-en Garden, and admire the masterpieces at Hiroshima Museum of Art. To see reviews, more things to do, traveler tips, and other tourist information, you can read our Hiroshima trip generator. Do a combination of car, ferry, and train from Kumage-gun Yakushima-cho to Hiroshima in 8 hours. Alternatively, you can do a combination of car and ferry; or do a combination of ferry, car, flight, and taxi. Expect a bit cooler evenings in Hiroshima when traveling from Kumage-gun Yakushima-cho in October, with lows around 17°C. 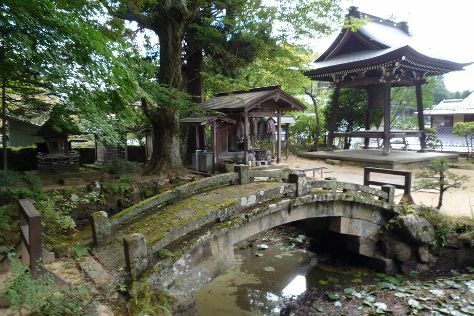 Wrap up your sightseeing by early afternoon on the 16th (Mon) to allow enough time to travel to Yasugi. Yasugi is a city located in Shimane Prefecture, Japan.As of March 1, 2017, the city has an estimated population of 38,875 and a population density of 92 persons per km². Eschew the tourist crowds and head to Adachi Museum of Art and Former Taisha Station. Satisfy your inner culture vulture at Iwami-Ginzan Silver Mine and The Mizuki Shigeru Road. You'll find plenty of places to visit near Yasugi: Mizuki Shigeru Memorial Hall (in Sakaiminato), Ama-cho (Jokyu Sea Way Kinnyamonya Center & Akiya Beach), Izumo (Izumo Hinomisaki Lighthouse & Shimane Museum of Ancient Izumo) and Matsue (Yaegaki Shrine, Matsue Castle, & more). There's more to do: kick back and relax at Daikon Island and have fun at Yushien Garden. To see where to stay, maps, reviews, and more tourist information, you can read our Yasugi itinerary builder. Traveling by car from Hiroshima to Yasugi takes 3 hours. In October in Yasugi, expect temperatures between 25°C during the day and 15°C at night. Finish your sightseeing early on the 21st (Sat) to allow enough time to travel back home.